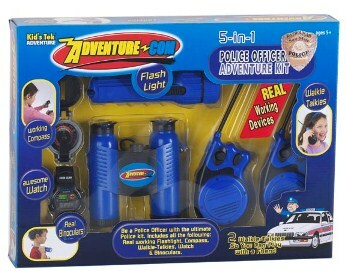 Try this “Police Officer 5-in-1 Adventure-Kit“. Includes a pair of walkie-walkies, binoculars, flashlight, compass, digital watch. Good gift idea for your kids! Your kids will love it!